Two awards to be proud of. Spring and Summer, 2018: Spirit of the West Adventures’ owners – Rick Snowdon and Breanne Quesnel – were thrilled to accept the Remarkable Experiences Award from the Tourism Industry Association of British Columbia. The award was given in recognition of the multi-day kayak tour operator’s most recently developed tour. 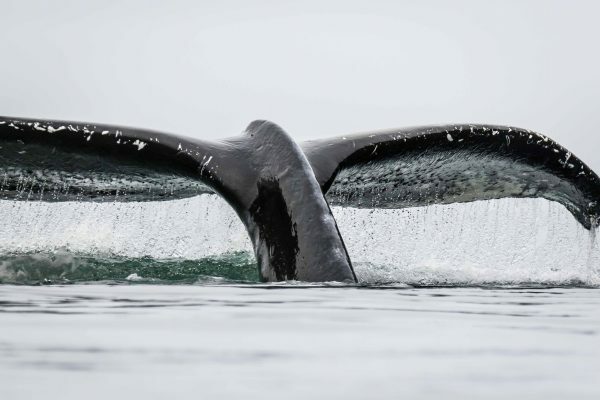 The 4-day Whales and Wilderness Glamping experience “reflects the essence of British Columbia and contributes to a remarkable visitor experience” according to the award criteria of the BC Tourism Industry Association. The experience, which debuted in the 2017 season, has become a consistently sold-out tour, currently booking one year in advance. 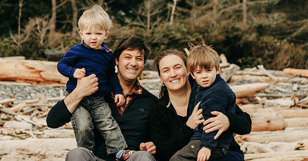 The Quadra Island-based company competed for the award against numerous other festivals and events, outdoor adventure experiences, food and beverage establishments, cultural and heritage experiences, and accommodation providers from around the province. 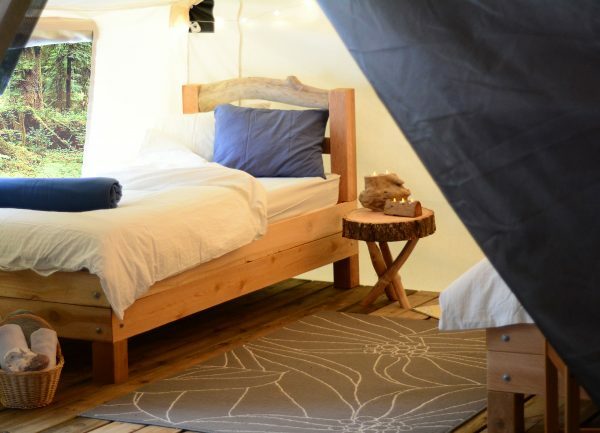 The Whales and Wilderness Glamping experience takes camping in coastal BC to a whole new level. Groups of up to 10 guests are transported via water-taxi into Blackfish Sound, the heart of orca and humpback territory on northern Vancouver Island. The camp features walk-in canvas tents; forest lounges; a hot tub; real beds with cozy and warm bedding; gourmet meals that are locally sourced; pristine sea kayaking; whale and wildlife watching by kayak and motorized boat; high-quality kayaking gear; and outstanding guiding service. The company demonstrates its commitment to sustainability in every aspect of this well thought out and executed adventure. The incredible popularity of the tour is indicative of larger trends occurring in the BC Tourism Industry. The Global Tourism Watch: 2016 Canada Summary Report produced by Destination Canada notes that “natural attractions like mountains and waterfalls were the most sought-after holiday experience. 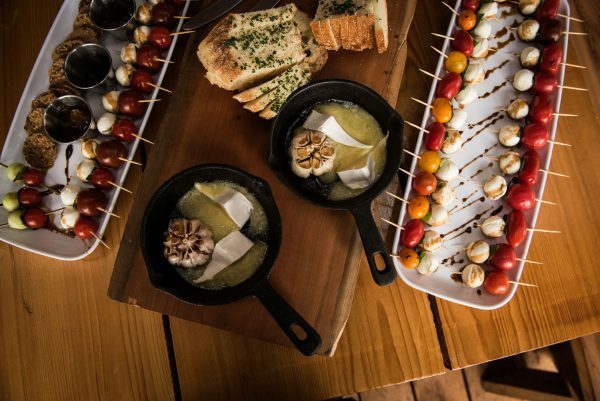 A close second is the chance to sample local cuisine and drink. These are followed by other outdoor activities such as hiking or walking in nature, visiting nature parks, viewing wildlife or marine life, as well as visits to historical, archaeological or world heritage sites,” (p. 11). Spirit of the West has managed to combine all of these elements in a neat package that is competitively priced, and tourists have taken notice. “Everything about the trip was superb – from the facilities to the location, guides, food etc. We saw a wide range of wildlife from our camp, kayak, and hired-boat. It was truly a once-in-a-lifetime experience” notes Isabel, a 2017 glamping tour guest. 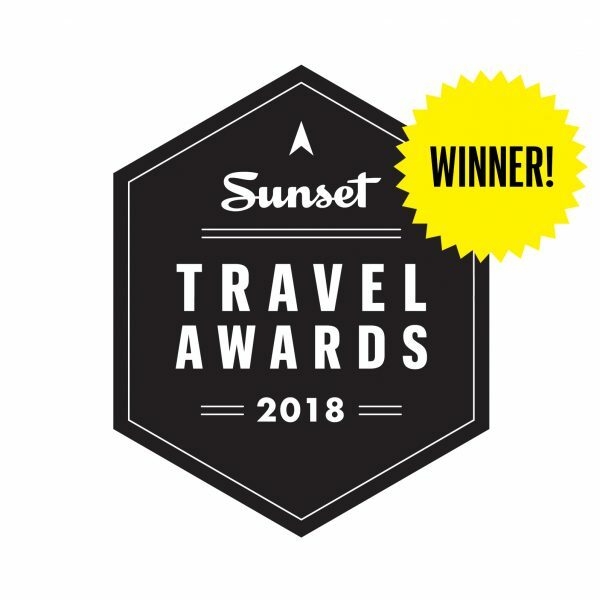 To further prove the excellence of Spirit of the West’s experiences, the company also recently received a 2018 Travel Award from Sunset Magazine for Best Oceanside Safari. There is no doubt that this small family-run organization is making a sizable impact in the BC tourism industry. Click here to see all our awards & read our ‘IN THE NEWS’ page. For more information about this story, contact company owners Breanne Quesnel or Rick Snowdon [email protected] or 1-800-307-3982.